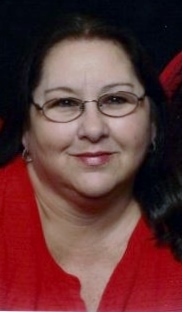 Donna Marie Browder, 59, of Summerville, SC, wife of Herman "Junior" Browder, passed away Monday, January 21, 2019 at her residence. Funeral Services will be Sunday afternoon, January 27, 2019 at 1 o'clock in Parks Funeral Home Chapel. Burial will follow in Summerville Cemetery. Visitation will be Saturday evening from 6 o'clock until 8 o'clock at the funeral home. Flowers will be accepted, or memorials in Marie's name may be made to a charity of your choice. Marie was born August 31, 1959 in Summerville, SC, a daughter of the late Joyce Crews Tisdale. She was a homemaker and loved spending time with her family and friends. She also enjoyed shopping at her local Goodwill stores, collecting purses and shoes that she hardly ever wore. In addition to her husband of 43 years, Herman "Junior" Browder, she leaves behind her sons, Michael Browder, Jason Browder (Rosa), Alan Browder (Kayden), and James Campbell (Sarah), all of Summerville, SC; daughters, Jennifer Goodman (Jeff) and Mildred "Sissy" Crews, also of Summerville, SC; grandchildren, Jake Browder, Skye Browder, Jodi Browder, Kaelyn Browder, Shelby Goodman, Chloe Goodman, Morgan Goodman, Hailey Countryman, Austin Crews, Jamison Cumbee, Jordan-Lee Cumbee, Brailyn Cannady, Alex Brodie, Kierston Eagle, all of Summerville, SC, David Cannady of Moncks Corner, SC, Amber Carden of Viera, FL, Wade Zamora of Fayetteville, NC, Lexi Arnold and Madison Reed, both of Toledo, OH; great-grandchildren, Teigin Bunch and Laikin Bunch, both of Ladson, SC, Emilee East of Summerville, SC, and Joseph Melendez of Cordesville, SC; brother, Donald Dennis, Sr. (Terri) of Summerville, SC; sister, Shannon Daniels of Fayetteville, NC; and many brother-in-laws, sister-in-laws, nieces, and nephews. She was predeceased by her mother; brother, Michael Crews, Sr.; and grandparents, Lila and Archie Crews, and Lula Binnarr. Arrangements by PARKS FUNERAL HOME 130 West 1st North Street, Summerville SC 29483.